A recycling centre in the Silicon Valley is looking for a woman who dropped off an old Apple computer that turned out to be a collectible item worth $200,000 US. Her electronic waste is someone else's treasure. The computer was inside boxes of electronics that she had cleaned out from her garage after her husband died, said Victor Gichun, the vice president of Clean Bay Area. She didn't want a tax receipt or leave her contact information, and it wasn't until a few weeks later that workers opened the boxes to discover an Apple I computer inside. 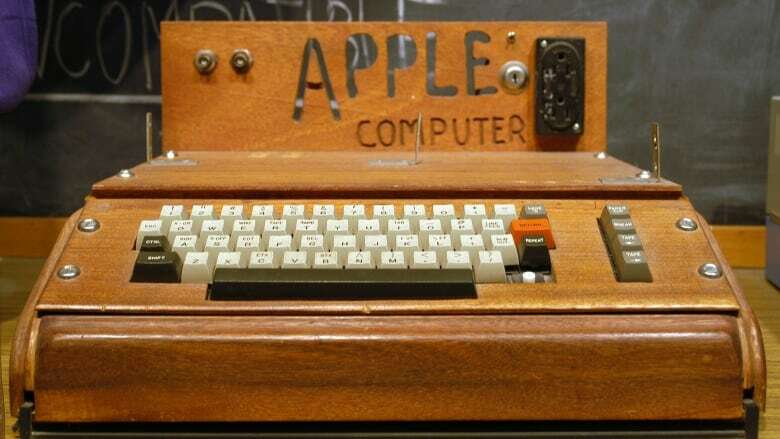 The San Jose Mercury News reports it was one of only about 200 first-generation desktop computers assembled by Steve Jobs, Steve Wozniak and Ron Wayne in 1976. "We really couldn't believe our eyes. We thought it was fake," Gichun told KNTV-TV. The recycling firm sold the Apple I for $200,000 to a private collection, and because the company gives 50 per cent of items sold back to the original owner, Gichun said he wants to split the proceeds with the mystery donor. He said he remembers what she looks like and is asking her to come back to claim her $100,000 cheque.